To ensure the accessibility of the Tango Therapy programme to every group of people that needs it. To make sure your community has the resources it needs to access the Tango Therapy Programme. To educate people like you, professionals and communities in the delivery of high quality Tango Therapy sessions in their area. To bring people together to build networks in order to help to deliver Tango Therapy sessions in their area. 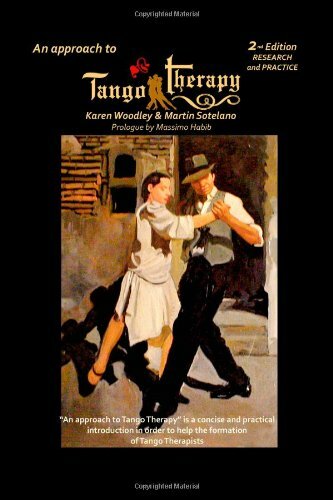 Tango Therapy is a dance/movement therapy that utilizes Argentinean Tango as a pathway in palliative and QOL care. We provide resources, services and initiatives to support people with Alzheimer’s, Parkinson’s sufferers and the elderly. Also, actually for children with learning difficulties / disabilities. We carry out this mission through research, community services, education and advocacy. We are raising money in order to deliver the Tango Therapy Programme to special groups in need. These groups are not available to pay for the sessions or part of them. We open an appeal for help from you in order to help us to deliver the sessions. These groups are Parkinson’s patients, Alzheimer’s. Shop on line and help us to raise money. We are creating, in combination with Mantle Creations, a bunch of high quality items: From Sweatshirts, T-Shirts, mouse-pads, mugs and more. By buying these items you will help us to raise money as we will get 50% of the sale from each selected item. You can buy many of them directly in our on-line shop and many more directly from Mantle Creations. Also great artists are collaborating with us, visit our online shop and enjoy their creations. by buying or donating you are helping us to deliver Tango Therapy session to groups that, otherwise, would not be able to have them.